Any visit to Akron would not be complete without a tour of the Stan Hywet Hall and Gardens and the beautiful Tudor Revival manor house. Surrounded by gardens, this historic estate draws guests from all over the world. Akron is a great city for settling down with almost 200,000 residents and plenty of industry. Visitors to the city who experience a dental emergency are well cared for with Akron’s variety of holistic dental offices. From orthodontists to general dentists, your dental emergency is not a problem in Akron. 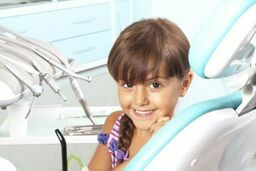 The Emergencydentistsusa.com website is standing by to help you to find the perfect Akron holistic dentist right now. Just log onto the website and scroll through our hand-selected listing of local holistic dental offices, and click on the dentist that suits your needs. You can find all of the information that you need to make an informed decision when it comes to choosing a dentist. From driving directions to insurances accepted, the Emergencydentistsusa.com website has all of the information that you need. When you just do not have access to the internet or need a little more help choosing that new holistic dentist, our toll free dentist finder hotline is always available. Just call the toll free number to speak to a caring agent who is standing by to set up your first dental appointment and give you clear driving directions to the new office. Remember to bring your dental insurance card, your photo ID, and any necessary copayment with you to the dental office. Arrive 10 minutes early to fill out any new patient paperwork. Choosing a holistic dental office in Akron is a breeze with our convenient listing. Simply scroll below to see the top three holistic dental offices in the city. Description: Your smile is in excellent hands with Akron’s Angel Dental Care. A caring office staff and friendly dentists make this dental office a favorite in the Akron area. The Akron office is located just a few blocks from Hillwood Park and Wilbeth Arlington Park. Description: Working since 1975 to provide children and teens with the best in dental care, Dr. Gerstenmaier is Akron’s favorite holistic pediatric dentist. From forming great dental habits to treating those dental emergencies, this dental office brings excellent patient care to all of the Akron children. Located on Market Street, Dr. Gerstenmaier’s office has convenient office hours for families with busy schedules. Description: From toddlers to teens to seniors, this family dental office provides dental care for all ages. Mercury-free fillings and same day crowns make it simple to get your dental care completed quickly and safely. Dedicated to bringing bright smiles to the whole family, Dr. Sinick and his staff offer friendly and caring dental services. Choosing to seek treatment from a holistic dentist does not mean that you have to start all of your dental services over again, it just means that you are paying attention to the products that are introduced into your body. From mercury-free fillings to digital x-rays that provide a reduced amount of radiation, holistic dentists work hard to provide dental services that are safe for your body. Providing whole-body health services is the idea when you visit your first Akron holistic dentist. The Ohio Dental Association is designed to give you, as a patient, access to the most up-to-date information regarding your dentist’s licensing and credentials. Just log onto the website and enter your dentist’s name in the search box. When you click “enter” the search will bring you the current licensing and credentialing information for your Akron holistic dentist. You can also find this information at the dental office. Speak with the dental receptionist to view those documents. This is an important step when it comes to choosing a new dentist who is properly licensed to work in the state of Ohio.